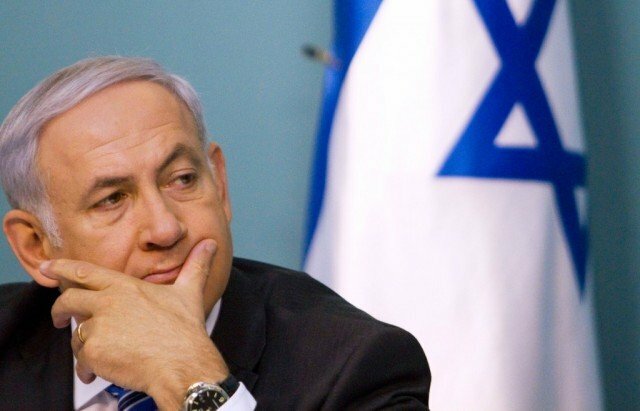 Israel’s PM Benjamin Netanyahu has accused the Palestinian Islamist movement Hamas of kidnapping three Israeli teenagers. The students went missing on Thursday near an Israeli settlement in the West Bank on their way back from lessons. Hamas has denied it was involved in their disappearance. The disappearance is being seen as the biggest strain on relations between the two sides since a Palestinian unity government was announced in April. As tensions mounted, Israeli troops surrounded a house in the West Bank city of Hebron late on Sunday and gunfire was heard. Unconfirmed reports said two men were arrested. It is not clear if the incident was connected to the search for the missing teenagers. “Those who carried out the kidnapping of our youngsters are Hamas people,” Benjamin Netanyahu said. Benjamin Netanyahu pointed to the fact that Palestinian President Mahmoud Abbas recently announced a unity government backed by Hamas. Israel suspended crisis-hit peace talks with the Palestinians when the government was announced and insists it will not deal with a Palestinian government backed by Hamas. Hamas spokesman Sami Abu Zuhri called Benjamin Netanyahu’s statements “silly” and said the arrests of Hamas figures were “aimed at breaking the will of the Hamas movement in the West Bank”. The Israeli army says it has arrested about 80 Palestinians in the search for the teenagers. Israel says an “intensive operation” is under way to find the two 16-year-olds – Naftali Frenkel, Gilad Shaar – and 19-year-old Eyal Yifrach. They were last seen in the area of Gush Etzion, a bloc of Jewish settlements located between Jerusalem and the predominantly Palestinian city of Hebron. Palestinian officials have said they are co-operating with the search. Benjamin Netanyahu previously said he holds the Palestinian Authority responsible for the teenagers’ wellbeing but Palestinian officials have pointed out that the three went missing in an area under full Israeli control. Israel has said it suspects militants may try to trade the teenagers for Palestinian prisoners, as happened after the 2006 kidnapping of Israeli soldier Gilad Shalit. Sgt. Gilad Shalit was freed in 2011 after Israel and Hamas agreed a deal under which more than 1,000 Palestinians were released from Israeli detention. Also on Sunday, the Israeli army said it had conducted aerial raids on the Gaza Strip overnight in retaliation for rockets fired from the Strip into Israel.